1) Vacuum suction goes deep into the skin,clearing up the deep dirt,grease and other impurities,removing acne. 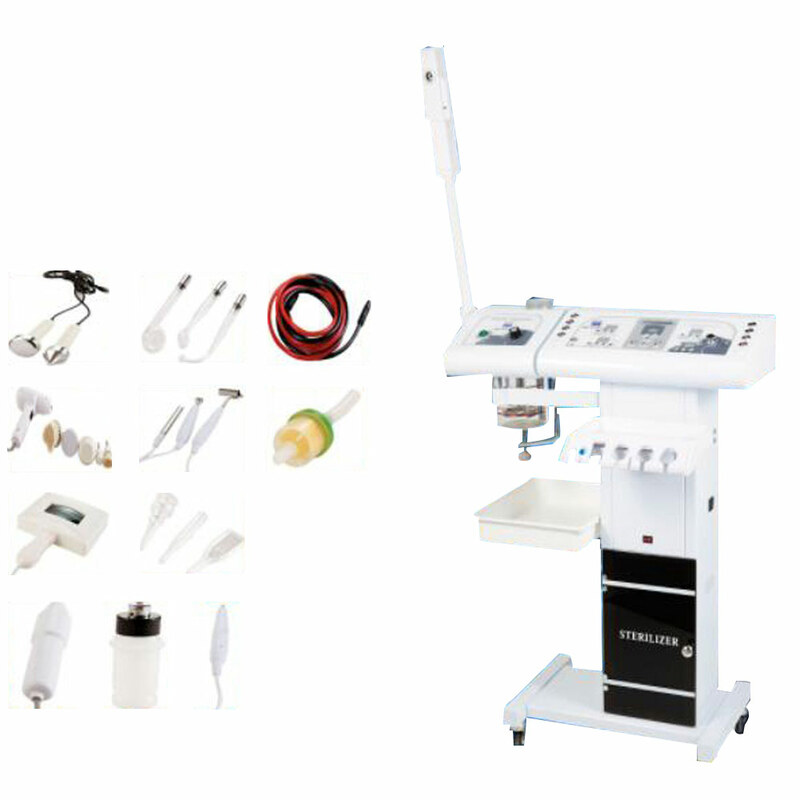 2) The ultraviolet instrument stimulates skin for killing bacteria and sterilizing,increasing blood flow,has a perfect effect for treating acne. 4) Clean skin,make skin fresh,it would be a refresh experience to use together with perfume or essential oils. The Wood's lamp can help to analyze differernt skin conditions: Thick skin , Thin Skin, skin cutin layer and dead cells; Normal and healthy skin, Oily areas of the face, and Sun damage, pigmentation and future age spots.